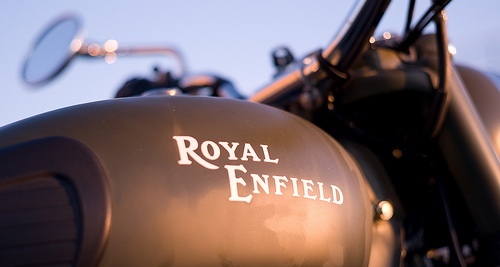 EnfieldMotorcycles.in is the blog for all Royal Enfield enthusiast where we live, breathe, and eat Royal Enfield Bullet . We not only keep you informed of the news about Royal Enfield originals, but also give custom bikes and historical bikes a lot of attention. You can also find with us the best Enfield related movies and crazy stunts etc. We are testing and reviewing new models of which a complete relief will be shown on our site. Finally, we have technical tips, for example, how to properly get engine through the winter. Royal Enfield Bullet-The Indian Cult ? Royal Enfield Bullet-The Indian Cult ? Find out !! There are many of you who have dreams of riding your bike (whatever make) to really far off places. That dream, is a great one to have, but more satisfying is the feeling of having achieved that dream. And that my friends, is not an easy task. You might have heard of people who wake up one fine day to the feeling of “i want to ride off today” and do it succesfully too.. but they are few, and lucky. The ones who make it back after a great trip with memories that will last a lifetime, are the ones who plan. I want every rider out there to go do their big trips and come back feeling accomplished and ready to take on life the way I have.. So I thought why not share my experiences with you. The most important part of your trip preparation, the weightage to this factor keeps growing as the length of the trip increases. For a weekend trip, you could probably hit the road with people you have no clue about, but on a lifetime trip like, say Leh, or an all india trip, you cant afford to go wrong on the people you pick. Why? because riding buddies are like workmates. You could be best friends with them when you are at a pub, or hanging out together, but on the road, you need people who work well with you, rather than be fun around you. It is more of a professional relationship than a friendship, that you need from your riding partners. And one of the most important facts to remember when you are setting up a touring team is that…..
a motorcycle tourer, is a rider who is also a real traveller..
b. Contribution : Enthusiasm is easy to show, but effort to contribute is not. So if there is contribution from this person in the form of time, ideas etc, he/she is going to be good on the road with you. Ask your riding mates to share work. See how he/she takes up work and whether the work is being finished too. You need people who can complete tasks that are being taken up. incomplete tasks on a bike trip leads to only one thing, disaster..
c. Team spirit: When riding as a group, there should be a structure. A defenite leader, a treasurer, a mech expert etc. these roles should be defined and respected (not in the yes sir way, but ln a bunch of buddies playing a sport way..) Watch if due respect is given to the roles that one is given to play. I have noticed that people who you have executed succesful non-riding projects with, usually manage to get it right on the road too. Easiest way, is to organize a quick short weekend ride someplace. Sitting around a table and meeting is fun and will let you know about the other person well, but the true test of whether you want to be on road with them for long trips can only be analyzed when you go on one.. There is one fundamental check that you need to do before you do the rest, whether you like them or not.. if your gut says no, it is most likely that they will fail one of the above. Anyone with a good head on the shoulder is an asset to a riding team. Avoid the road raging, I’m the fastest type of guys like plague. They belong on the racng track and not on the tour. The tourer is of a different make altogether..
Parting word: Don’t travel with people who you cant like, you will not enjoy the ride. And having the right bunch of people around you, makes all the difference between a nice bike trip and a great bike trip!! Show your Love for Royal Enfield !! A comprehensive Road test done by Zigwheels covering each and every aspect. An exhaustive article about cleaning and maintaining your royal enfield !! A detailed article on buying Used Royal Enfield a must read..
Everything you need to know to take care of the system on your new EFI Royal Enfield in one short article.